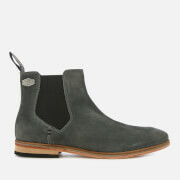 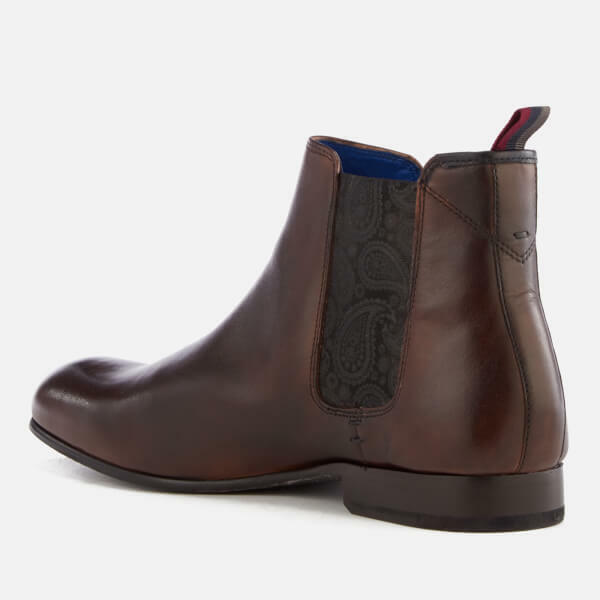 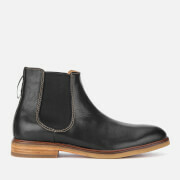 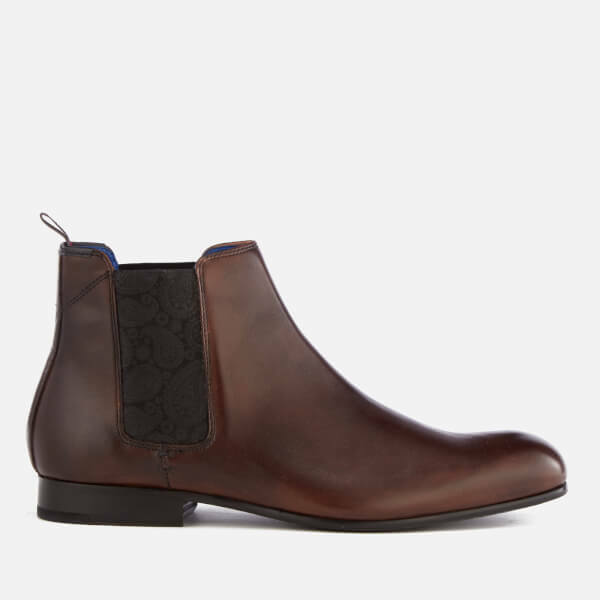 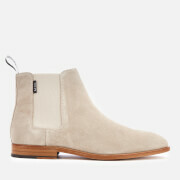 Men’s ‘Kayto’ leather Chelsea boots from Ted Baker. 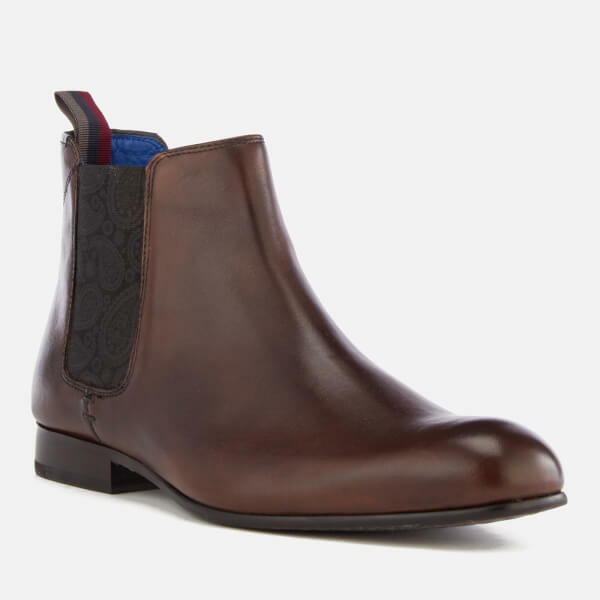 Forming a classic silhouette, the ankle boots are made from smooth, burnished leather uppers with elasticated side gussets featuring a tonal paisley print. 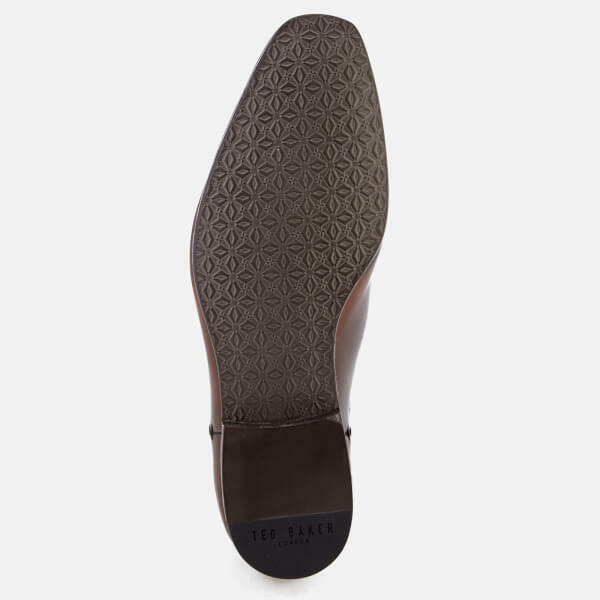 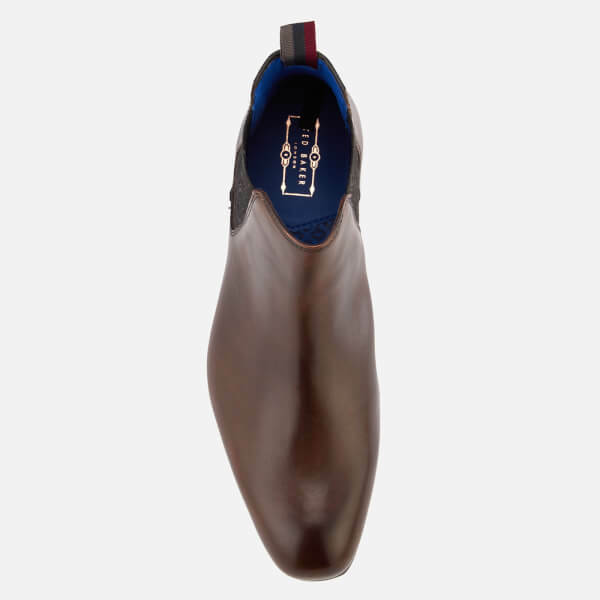 Set upon a tonal rubber sole with low stacked heel and intricate embossed design and ‘Gentleman’s Corner’ notch to prevent trousers from catching. 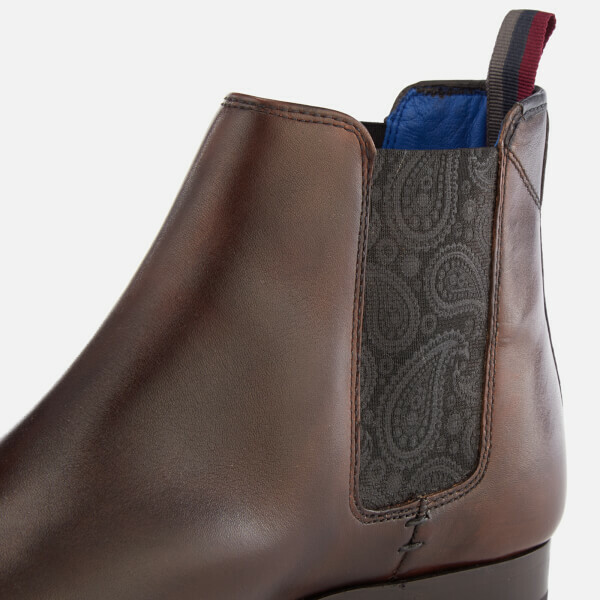 Finished with a grosgrain heel pull tab in a contrast stripe.